It does not matter if you are a die-hard professional quilter, an avid hobbyist, or a complete newcomer who is simply looking for their first sewing machine, Sewing Centers by Quad Cities, IL, has its doors open for all of your needs. Our trained expert staff can offer some advice when it comes to purchasing a new sewing, embroidery, or quilting machine. We have the material you need for any size project and any size budget. In fact, we can even recommend some great items depending on what you are working with at the time. Our friendly staff makes sure to stock the entire store with the right equipment for all of our customers’ needs. With the equipment in hand, we also offer complimentary lessons on exactly how to make use of the machine in the correct manner. You will love the individual attention our trained staff provides for those in need. Our team will work with you for as long as it takes to ensure your needs are met and you are satisfied with your purchase. Our current co-owner, Karen Reese, took over ownership of the Sewing Centers back in 2013. She is not new to the world of sewing and quilting, however, so fret not. Her specialties include colorful quilts and funky designs in her work. Every member of our staff is an avid sewer, quilter, or embroidery specialist who knows exactly what they are talking about. This is not just a day job for us, it is a way of living life to the fullest. 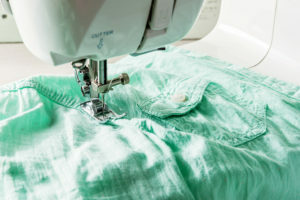 We understand you may not enjoy simply using the online website to interact, so we encourage all visitors to come into our Sewing Centers near Quad Cities, IL, for experienced help and great service.